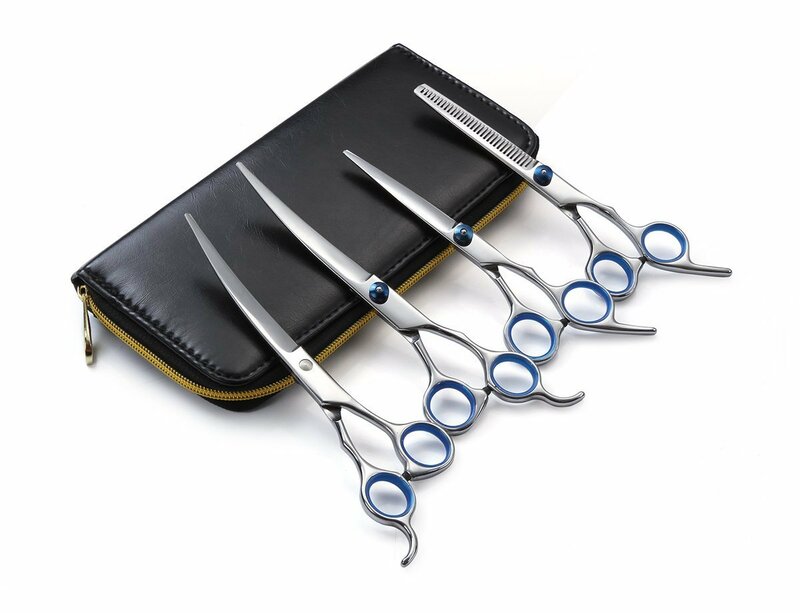 This 4-piece Grooming Kit includes 6.5″cutting scissor, 6.5″ Thinning scissor,7.0″up-Curved scissor,7.0″down-Curved scissor, Grooming Comb, scissor case,brushing clothes.The color of cloth will be random shipments.Oil is not included in this product. 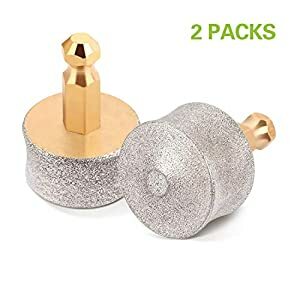 This product is warrantied by Alfheimfor three months. 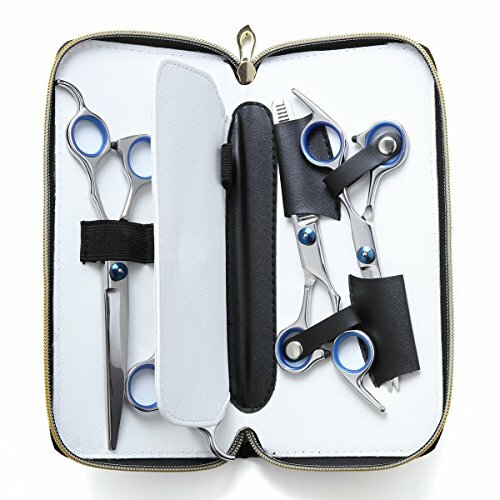 This 4-piece Grooming Kit includes 6.5-inch Cutting scissor,33 teeth Thinning scissor,7-inch Curved scissor point up,7-inch Curved scissor point down, Grooming Comb and luxury scissor case. 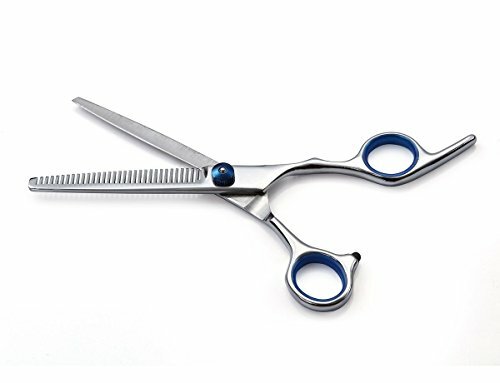 Complete stainless steel construction which is durable, functional and very strong. 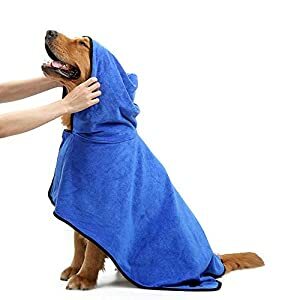 The curved set of extreme assist when grooming your pet by your own. 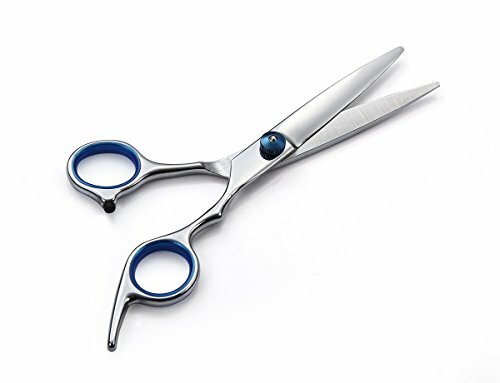 The entire cutting tools come with razor sharp edges which assist in the detailing aspect as well.The handles and the contours are designed in the sort of way to make sure effortless and easy way of working. 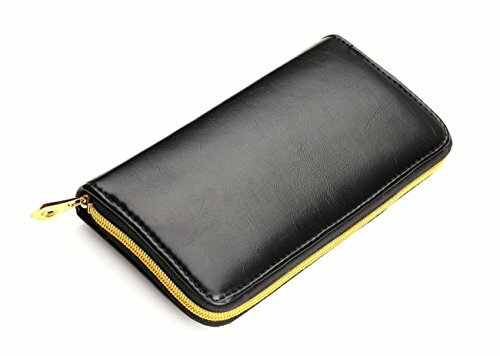 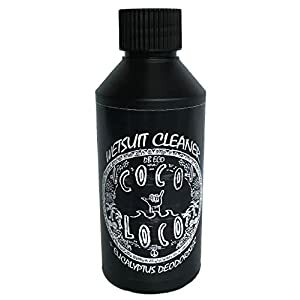 This 4-piece Grooming Kit includes 6.5″cutting scissor, 6.5″ Thinning scissor,7.0″up-Curved scissor,7.0″down-Curved scissor, Grooming Comb, scissor case,brushing clothes.The color of cloth can be random shipments.Oil isn’t included on this product. 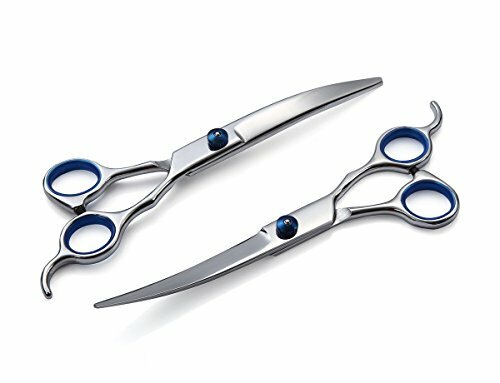 Grooming your pet at home is made easy by this curved set. 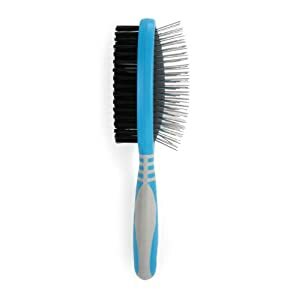 It’s ergonomically designed to suits your entire pet’s grooming needs and requirements.